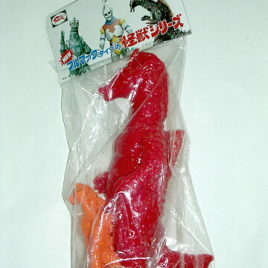 We have it on good authority that the Marmit Company has merged and will no longer be producing Godzilla related figures; so get yours now. 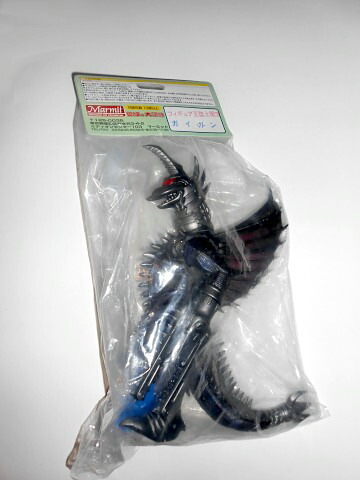 HERE is a REALLY IMPRESSIVE POWER UP GIGAN WITH CHAIN SAW ARMS by MARMIT 2005. 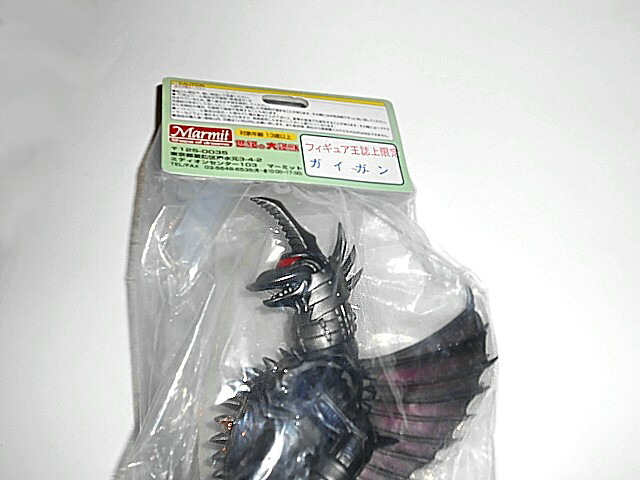 This 10 inch tall GIGAN is done in BLACK with SILVER METALLIC. 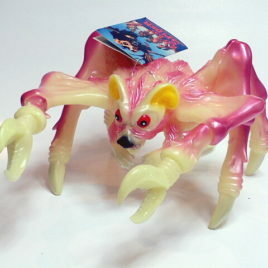 The wngs are a PURPLE MAGENTA. 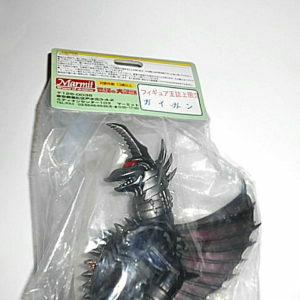 Gigan is a hard vinyl figure with articulation at the arms, legs, tail, head and Chain Saw Arms! 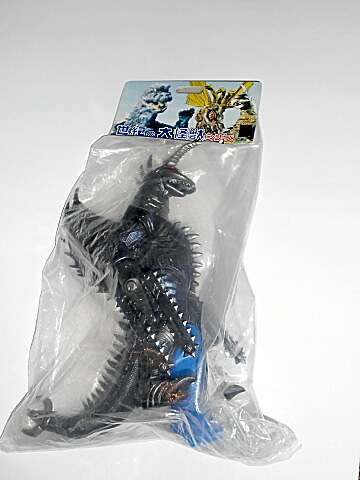 THIS AWESOME FIGURE ALSO COMES WITH A BONUS YELLOW MINI BARAGON! 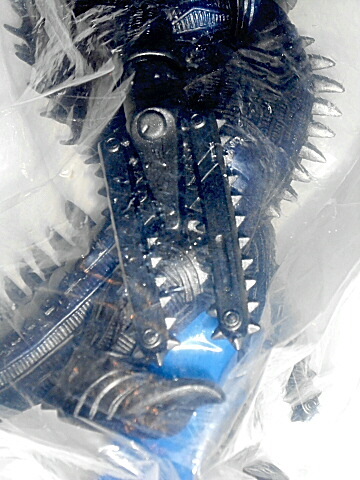 The mini Baragon stands approx 4 inches tall and is articulated at the neck. 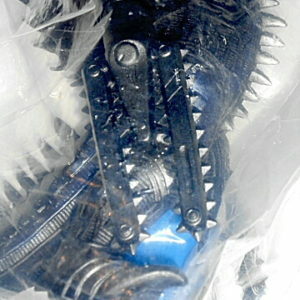 ALSO CALLED THE POWER UP GIGAN, This version was seen in the exciting Toho Movie GODZILLA FINAL WARS. 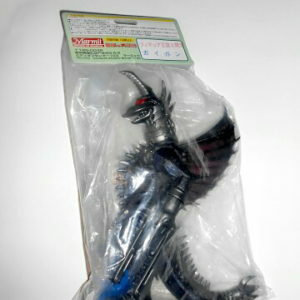 Produced as a Marmit “Figure King” LIMITED version in 2005, it is quite hard to find even in Tokyo! 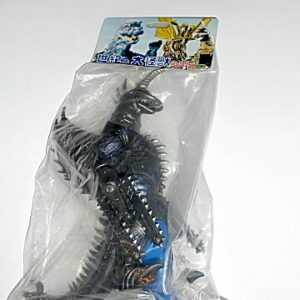 Figure comes MINT in original bag with HEADER.